John D. Liu is an American who has lived in China for more than 30 years. John helped to open the CBS News bureau in Beijing at the time of normalization of relations between the U.S. and China. He worked for CBS News for 10 years, leaving in 1990. He also worked as a photojournalist for Radiotelevisione Italiana (RAI Italian Television) and Zweites Deutsches Fernsehen (ZDF German Television). John has concentrated on ecological film making since the mid-1990’s, and has written, produced and directed films on Grasslands, Deserts, Wetlands, Oceans, Rivers, Urban Development, Atmosphere, Forests, Endangered Animals, and Poverty Reduction. His work has taken him to over 70 countries. Many of his films have appeared on BBC World and other networks. 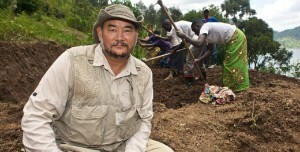 In 2003, Mr. Liu wrote, produced and directed “Jane Goodall – China Diary” for National Geographic. Since 1997, John has directed the EEMP, which uses television to deliver ecological, sustainable development and public health messages in China and other countries. Mr. Liu was also the driving force in the creation and development of the China Environment and Sustainable Development Reference and Research Centre (CESDRRC), the China HIV/AIDS Information Network (CHAIN), and the Environmental Education Media Project (Mongolia). 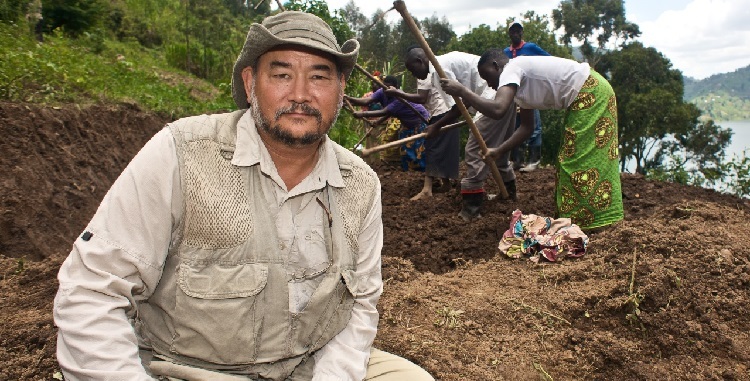 For many years Mr. Liu has studied and worked to promote the potential of ecological restoration including presenting the recent films “Hope in a Changing Climate”, “Rwanda – Forests of Hope” and “Emerging in a Changing Climate”. From 2003 to 2006, John was a visiting fellow in the Faculty of Applied Sciences and Faculty of the Built Environment at the University of the West of England (UWE). In 2006, John was named the Rothamsted International Fellow for the Communication of Science. In 2008 John became a part-time PhD candidate in Research at Reading University. In 2009 – 2010, John was appointed Assistant Research Professor at George Mason University. Currently John is a Senior Research Fellow at the IUCN. In 2013 John became a Visiting Fellow at the Faculty of Earth and Life Sciences, VU (Vrije University Amsterdam).